Relevance Delta proteins activate Notch through a binding reaction that depends on their extracellular domains. During somitogenesis, Notch signalling via DeltaC keeps the oscillations of neighbouring cells in synchrony. 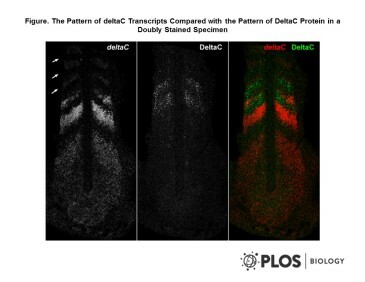 DeltaC is also expressed in subsets of cells in the nervous system and elsewhere. Wright et al. 2011. Development. 138(14):2947-56. PMID: 21653612. 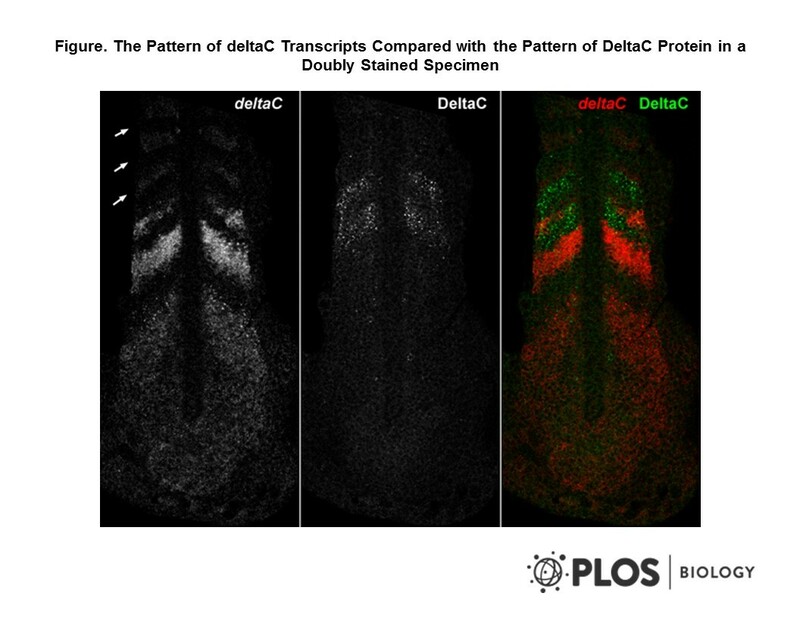 DeltaC and DeltaD interact as Notch ligands in the zebrafish segmentation clock. Giudicelli et al. 2007. PLoS Biol. 5(6):e150. PMID: 17535112. Setting the tempo in development: an investigation of the zebrafish somite clock mechanism. Linked to 1 other reagents on Ximbio.